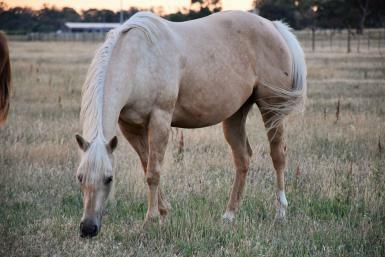 Sensationelle Q-70967 is a beautiful palomino Quarter Horse mare, turning 5 this year. 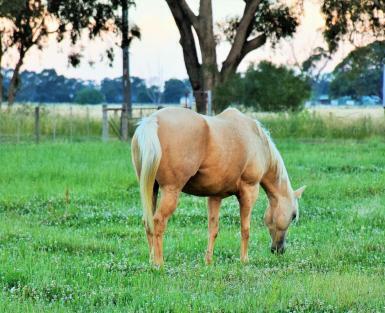 She is an already an accomplished Halter Horse and has achieved her ROM at Halter. 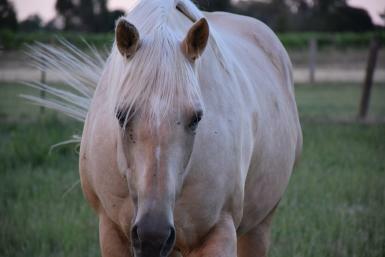 A very big solid mare standing 16.2hh. Top quality breeding of Classic Sensation x She's Noble (Noble TKO). 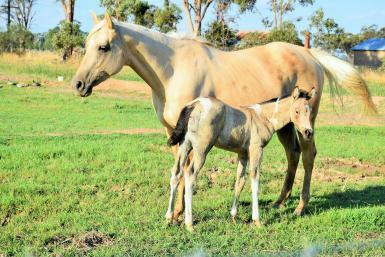 An excellent mother, she has just had her first foal last year, a beautiful buckskin pinto filly. She is very quiet to handle on the ground and easy to do anything with. 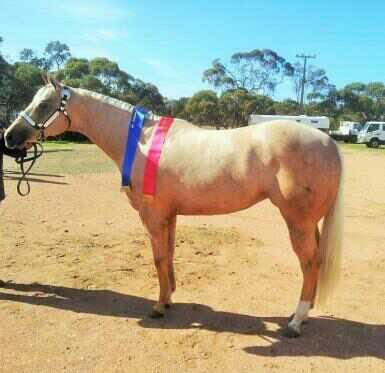 Will be an amazing ridden horse. Ready to break in, will be an easy job. Currently in paddock condition as seen in first 4 pics. Show condition can be seen in last pic. Call 0432 064 362.